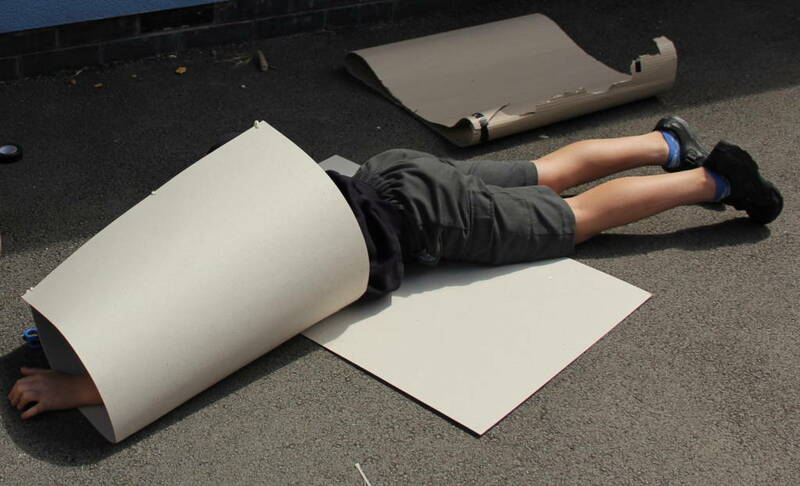 Over summer 2017 we worked with one of the gallery’s closest communities, Portobello, running a project with local children, school pupils and families to create a play sculpture for children. 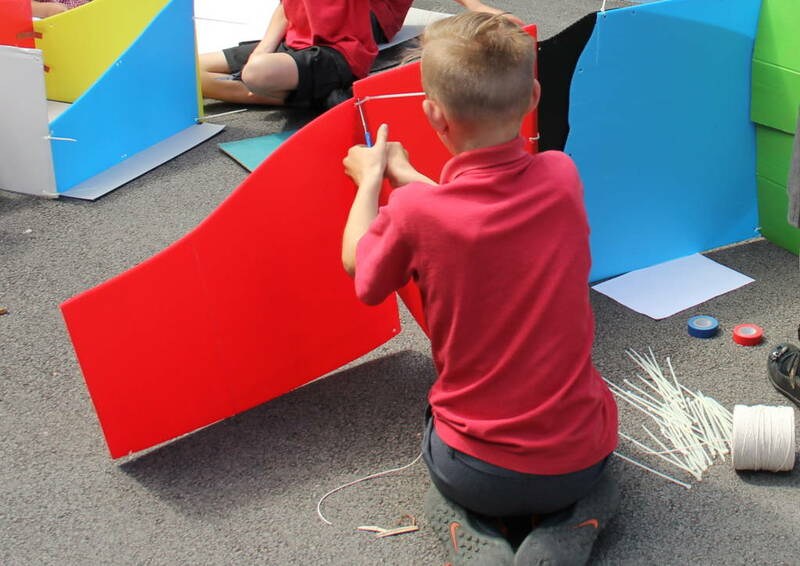 During June and July we visited Sandal Castle Primary School with Sheffield-based artist, Natalie Finnemore, working with all 90 of their Year 6 students to investigate sculpture and how they can be made to play on. 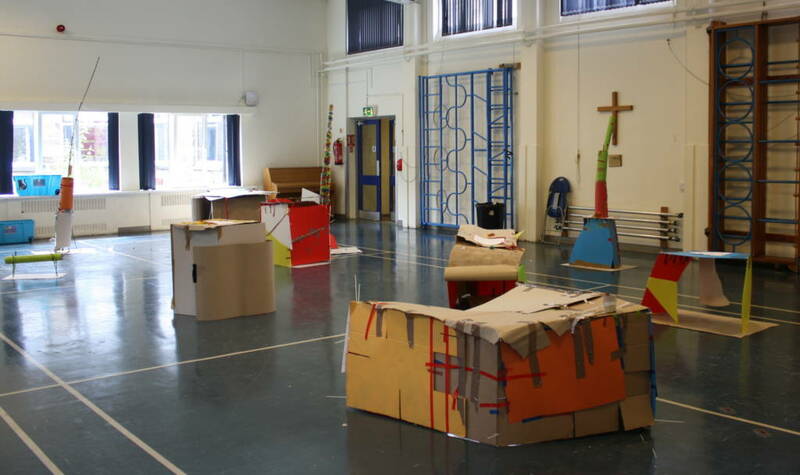 During workshops led by Natalie they experimented with large group sculpture making, wooden-sculpture construction, printmaking, creating paper sculptures and designing their own play sculptures. 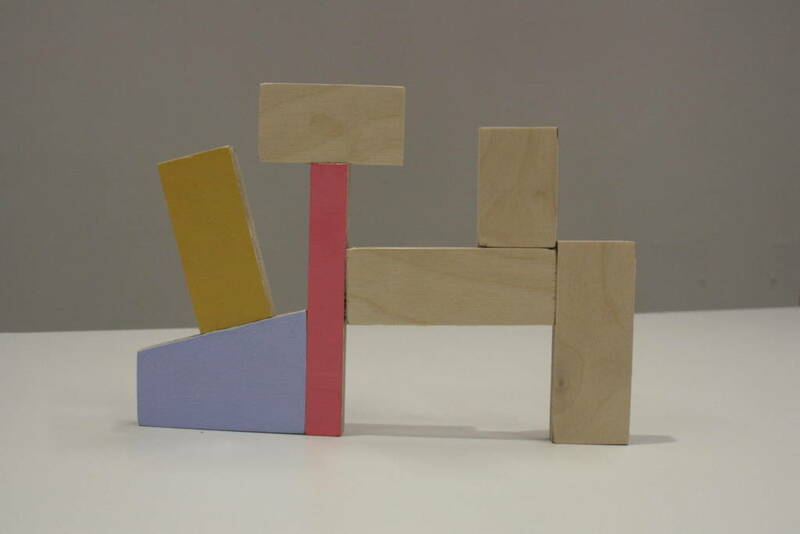 Natalie collated their ideas, shapes and colours to make a final play sculpture to climb, hide and play on. 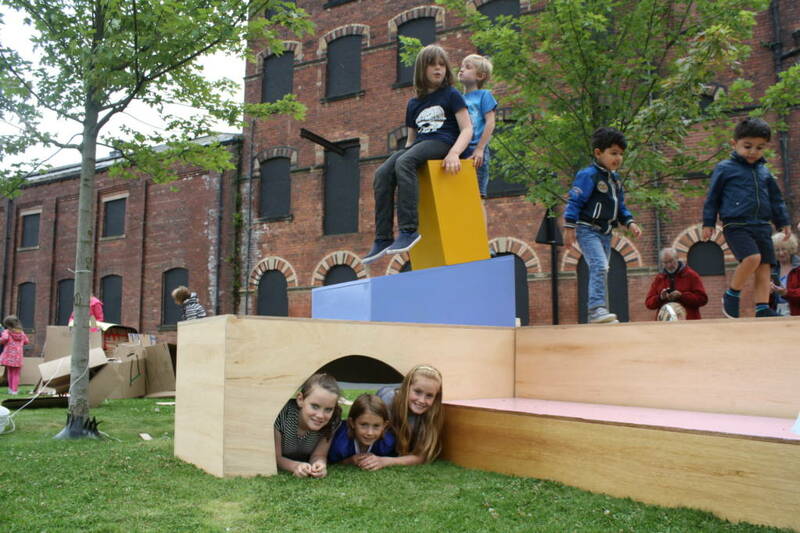 Natalie Finnemore’s playful sculpture Portobello was then unveiled for National Playday, a national celebration of children’s right to play, highlighting the importance of play in children’s everyday lives. 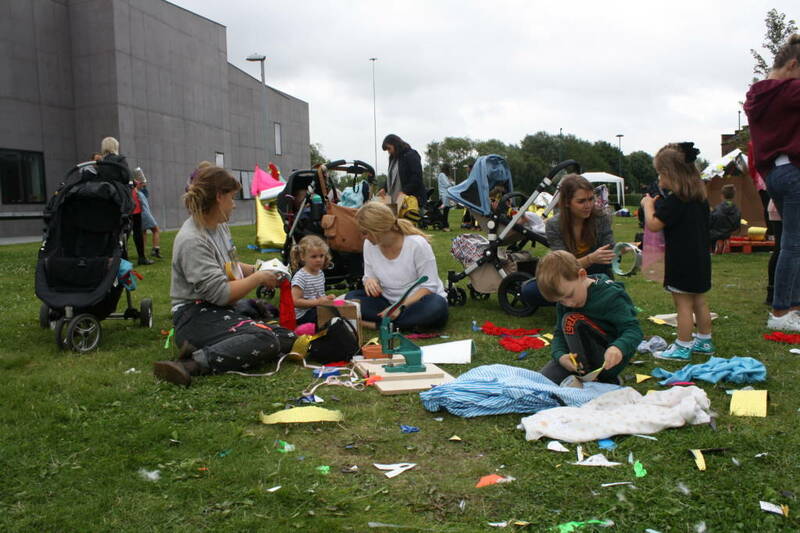 Over 2200 people came to The Hepworth Wakefield’s event, during which families worked with artists to transform our outside space into a creative playground, building dens, soft structures and taking part in messy play. 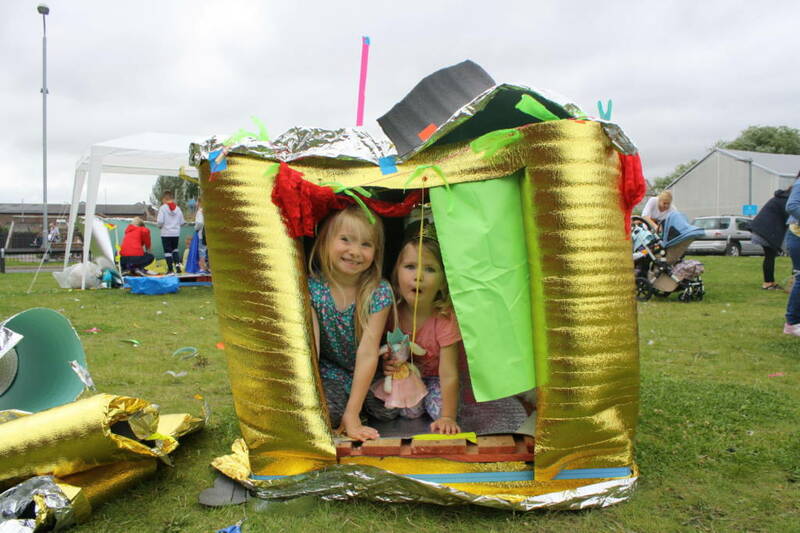 Natalie also invited families to explore Portobello and participate in sculpture building activities inspired by the children’s design process. Portobello then resided at the Rainbow Café at Portobello Hub every Thursday throughout August as part of the community’s Soul Portobello activities. 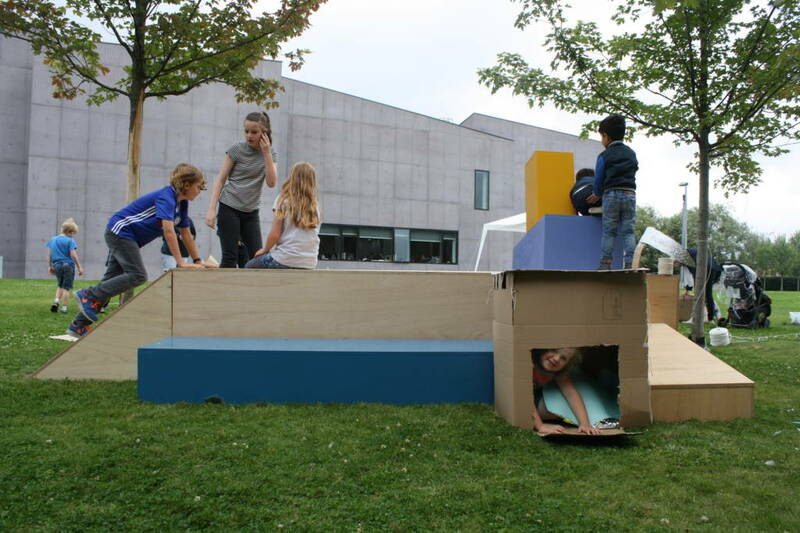 Artists ran workshops with families inspired by the sculpture, including activities on, in and around the sculpture exploring balance, movement, large scale drawing and family den building. 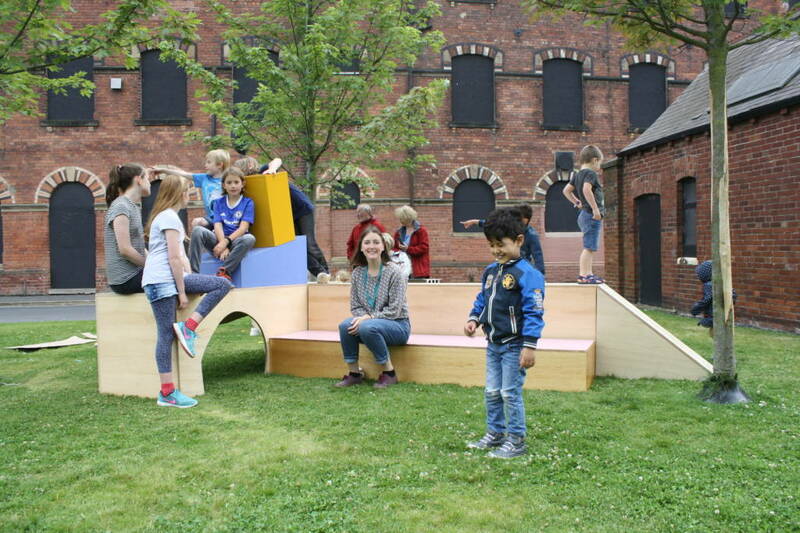 In September 2017, at the end of the project, the play sculpture was given to Sandal Castle Primary School. 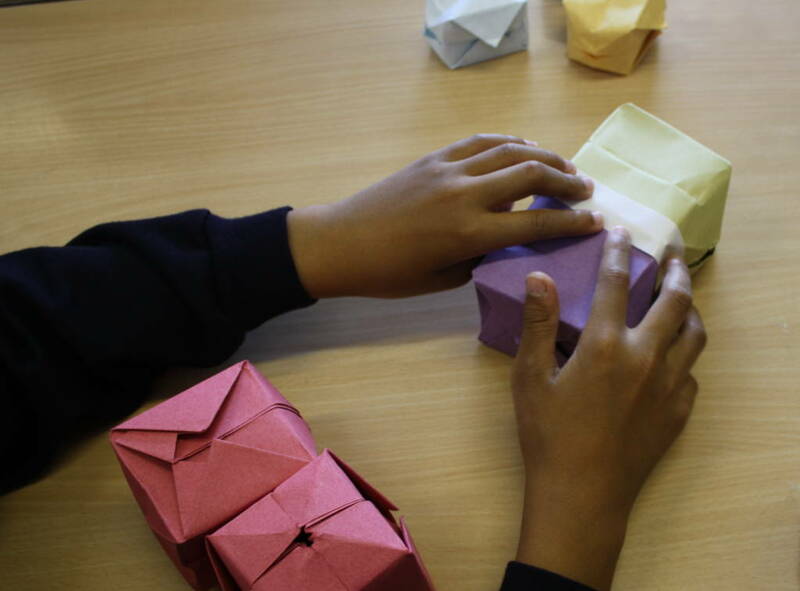 The pupils play on it during their breaks and the school is continuing to encourage creative play.